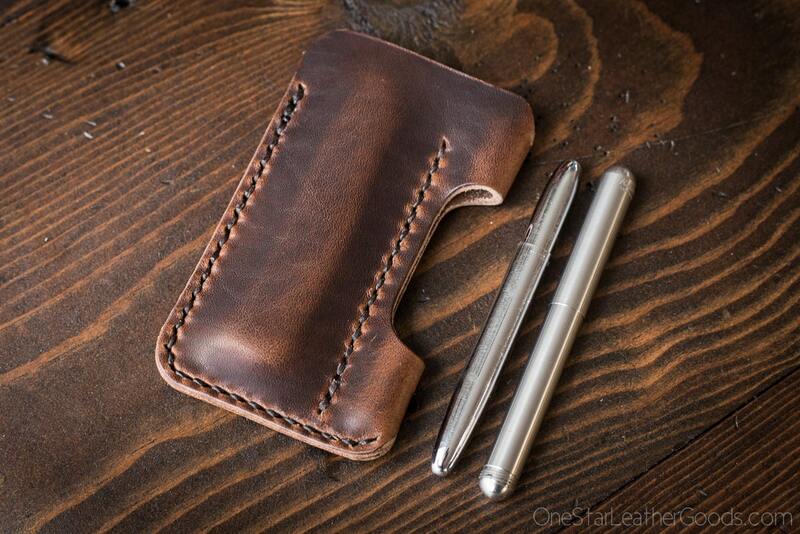 A simple EDC case to protect your pocket knife and Fisher Space Pen in Horween Dublin veg tanned leather. Works great with Great Eastern Cutlery traditional slip joint knives. 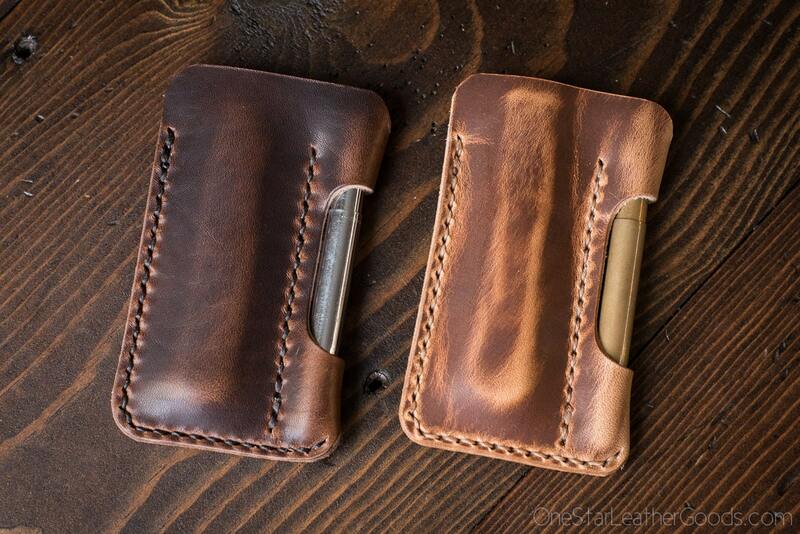 Horween's Dublin is wonderful straight vegetable tanned leather with bright pull-up and a waxy finish. It will age wonderfully. 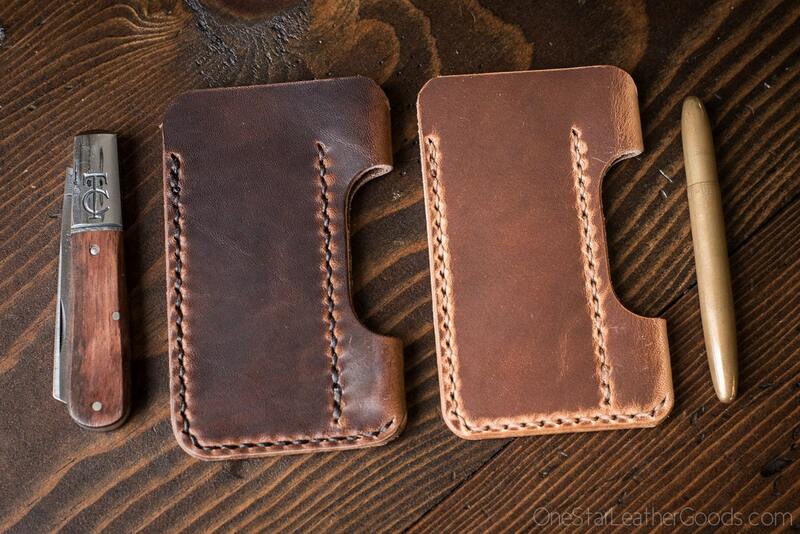 Very high quality thick leather with excellent stitching. Fisher bullet pen fits snug but slides out easily. 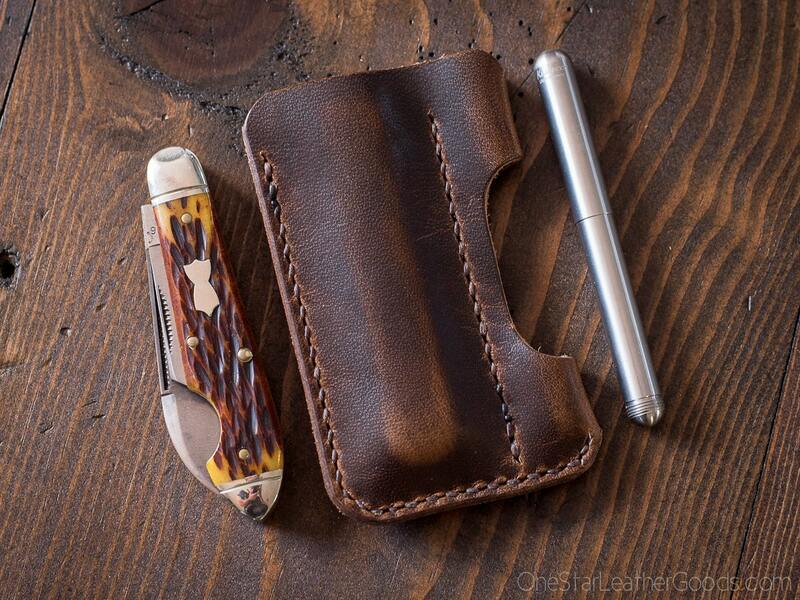 Fits my boker cinch stockman perfectly. Extremely happy, Thank you. 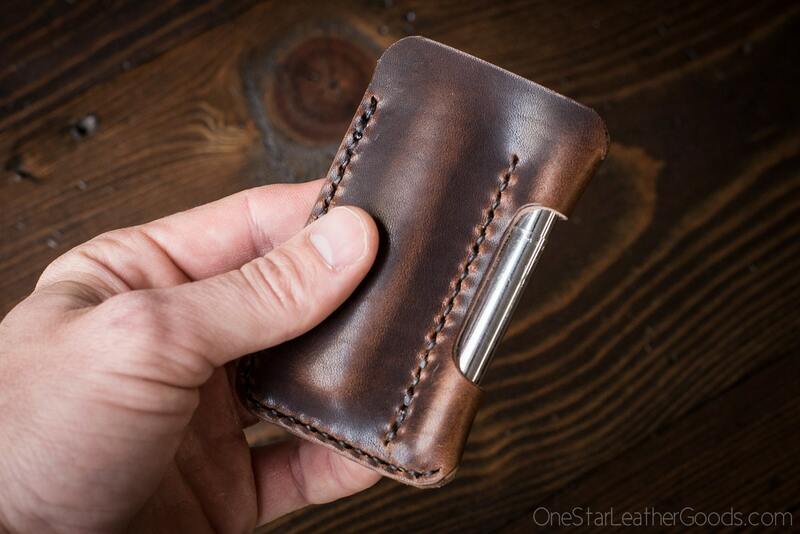 Loving the quality and craftsmanship of the EDC-1. Looking forward to carrying this for many years to come and finding the perfect knife to compliment it. Bought more to give as gifts. These are excellent. My GEC Tidioute #15 Boys Knife fits perfectly.